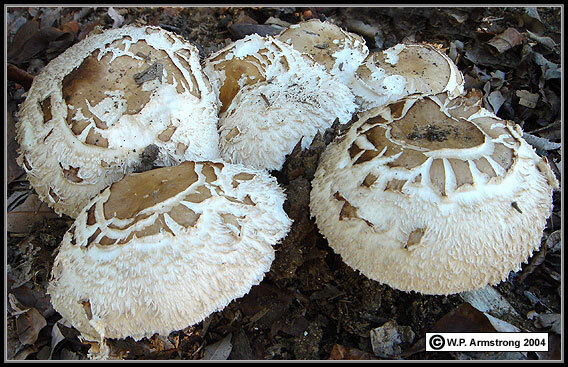 Shaggy parasol mushrooms (Lepiota rhacodes) in southern California. 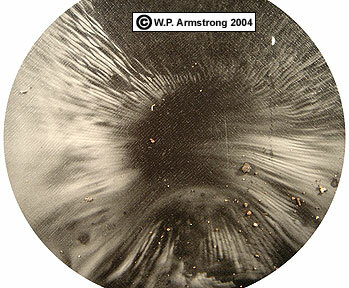 Spore print of shaggy parasol mushroom (Lepiota rhacodes). Unlike the greenish spore print of the poisonous Chlorophyllum molybdites, this spore print is creamy white. Western jack-o-lantern mushroom (Omphalotus olivascens) growing from a subterranean basal burl (lignotuber) in the chaparral of San Diego County. 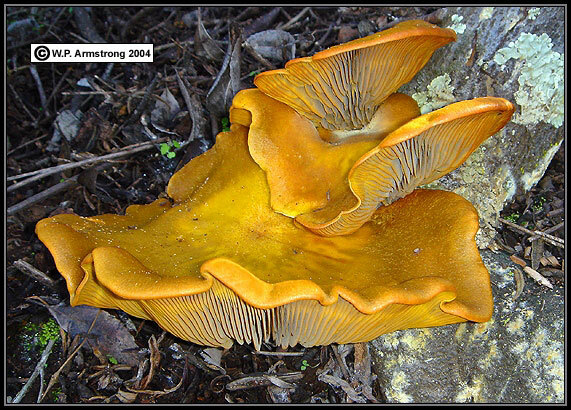 This species is sometimes mistaken for an edible chanterelle, only with severe gastrointestinal consequences. 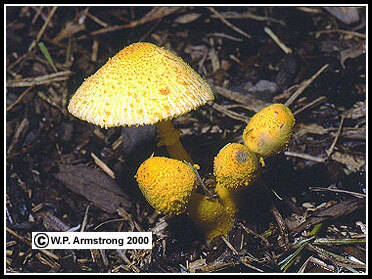 According to David Arora (Mushrooms Demystified), the gills of this bright orange mushroom glow in the dark. He recommends watching a freshly picked mushroom for several minutes in a dark closet while eating a grilled cheese sandwich. A faint, silvery-green glow appeared in my closet, even though I was eating a peanut butter sandwich. 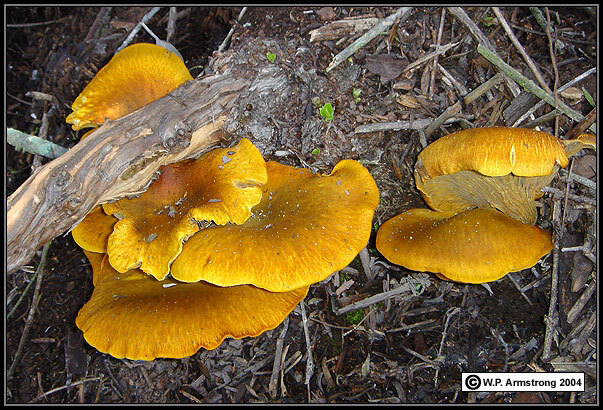 Western jack-o-lantern mushroom (Omphalotus olivascens). 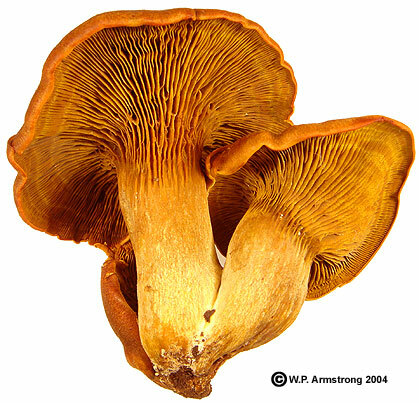 Jack-o-lantern mushroom (Omphalotus olivascens) showing gills on underside of cap. 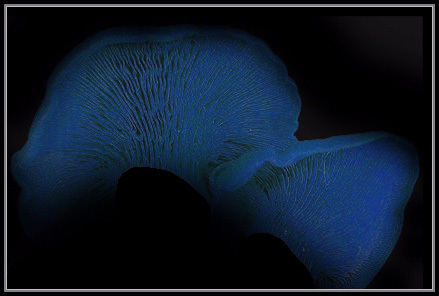 Photoshop rendition of (Omphalotus olivascens) glowing in a dark closet. 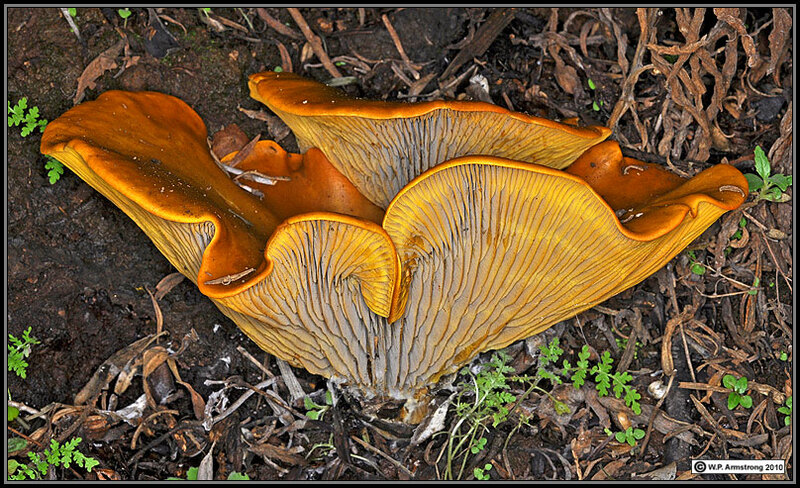 Jack-o-lantern mushroom (Omphalotus olivascens) taken with Nikon D-90. Leratiomyces ceres (syn. 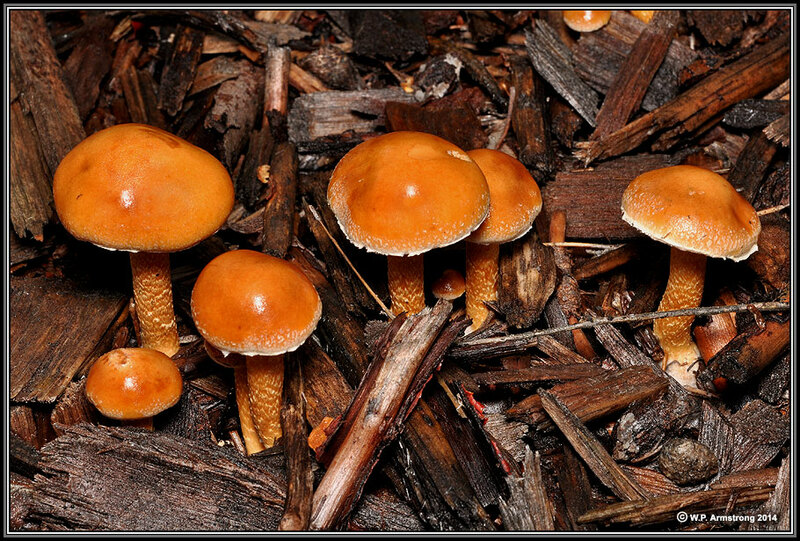 Stropharia aurantiaca) growing on wood chips.